Who organizes the GIN Wide Open? The GIN Wide Open is organised by Toby Colombé of Passion Paragliding and the GWO Organising Team. How safe is flying in Krusevo? Krusevo is a very safe flying venue. The launch winds are usually light. The flying conditions are generally not particularly strong and landing options are ubiquitous. A paramedic team will be on launch every day and a helicopter is always on standby. Our state-of-the-art tracking system is another big part of our safety environment. Thereafter, it is the responsibility of each and every pilot to fly with appropriate care. Which wing should I fly? You must fly an EN certified wing and you must fly it within the certified weight range. Two-liners are not permitted. In previous GWO events about 60% of the participants flew EN-B gliders. About 30% flew EN-C gliders. In keeping with the philosophy of the event, you should fly a wing with which you feel comfortable. I’m not very good at using a GPS – how will I cope? We encourage pilots to become familiar with how to use their GPS units before the event. In reality, many (maybe even most!) pilots will learn a lot about navigating a competition task during the GIN Wide Open (and our first talk of the event will be dedicated to the subject). What are the briefings/debriefs and talks? There will be in-depth briefings prior to each task. At the end of each flying day there will normally be a task debrief presented by an experienced GWO Team Pilot. Our aim is to brief in enough detail that no one takes off without having a complete understanding of the task they are about to fly, and at the end of the day, they have the opportunity to learn and understand how they could have done it better. I have non-flying friends with me. Will they be able to join the parties? Yes, there will be the opportunity to buy tickets to meals and parties etc. The organisers shall award the prizes in any manner they choose throughout the event. In principle there will not be prizes for winning any flying tasks, but prizes will be given out on a discretionary basis. Major prizes, (including but not limited to new GIN wing, new GIN harness, new GIN reserve, GPS units, and paragliding holidays) will be awarded at the end of the event (on the final evening of the last day) at the GWO Prize Draw. Names will be selected randomly (“names from a hat”). Any pilot not in attendance at the GWO Prize Draw will not be eligible to win a prize. What is a CIVL Number? CIVL stands for “Commission Internationale de Vol Libre (Hang Gliding and Paragliding Commission) It is an Air Sport Commission (ASC) of the Fédération Internationale Aéronautique (FAI). Unless you have previously competed in an FAI sanctioned paragliding competition you won’t have a CIVL number, but will be issued one automatically after your first competition. 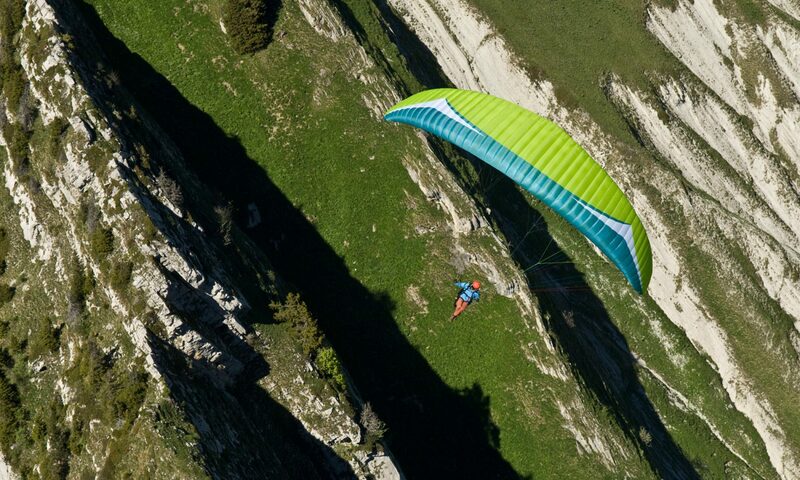 If you have previously competed in an FAI paragliding competition you can find your CIVL ID here. The term IPPI stands for International Pilot Proficiency Information. It is issued by your National Association and reflects the standard you are trained to. Do not confuse this with a Sporting License. What is an FAI Sporting License and how do I get one? This is a license you need to be able to compete in an FAI-sanctioned competition. It is issued by your National Association and usually all pilots are eligible to hold it. Whilst an IPPI card is not required, a sporting licence is required for this event. Please be sure to contact your National Association in order to acquire your sporting licence in plenty of time. You will be required to produce your FAI Sporting Licence at registration. Unfortunately, we are unable to recommend insurers, but be sure to purchase insurance that covers amateur competitions. You will need to provide proof of insurance at registration. All participating pilots must have a valid medical health care insurance (covering all hospital expenses, rescue and repatriation), including proof in English of third party liability insurance (Euro 750k minimum); and proof in English of medical evacuation and repatriation. A statement from your insurance company in ‘English’ must be shown at registration, proving that you have met the insurance requirements and must include a 7 day 24 hour emergency contact number in case of accident. The GIN Wide Open is hugely popular. We will only accept 125 pilots and often turn away many hundreds of applicants. We try to select pilots as fairly as possible bearing in mind the philosophy of this event. Our selection process gives no advantage to pilots applying on the first day of application. We will consider all pilots on their merit – not on how quickly or otherwise they apply. If you’ve been to the GWO before, you definitely still have a chance (even if you’ve entered more than once! ), but where possible we like to prioritise pilots who haven’t competed in the GWO before. If you have other previous competition experience, don’t assume that this will necessarily count against you. Finally, the organisation team know personally a lot of the applicants to this event. Please don’t ask us for favours. We cannot sneak friends into this event. Whilst we want to help we are also committed to being as fair as we possibly can. I want to enter the event with friends (or with my partner), how should I apply? On the application form there is a field where you can put the names of friends or family members with whom you are hoping to attend. We will take this into account without prejudice when allocating places.